PBS today announced plans to broadcast AMERICA AFTER CHARLESTON, a one-hour town hall meeting that aims to explore the many issues propelled into public discourse after a white gunman shot and killed nine African-American parishioners in Charleston’s Emanuel African Methodist Episcopal Church in June 2015. 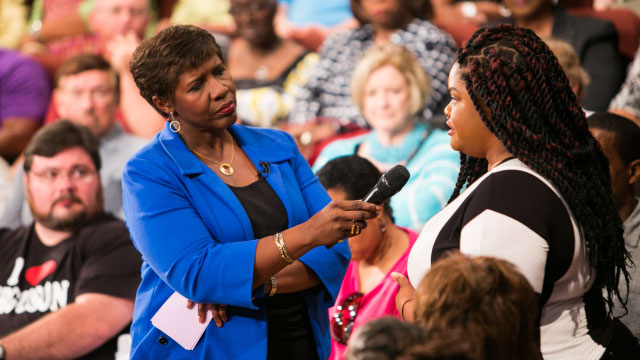 Gwen Ifill, PBS NEWSHOUR co-anchor and managing editor, and moderator and managing editor of WASHINGTON WEEK, will moderate the special broadcast. AMERICA AFTER CHARLESTON.